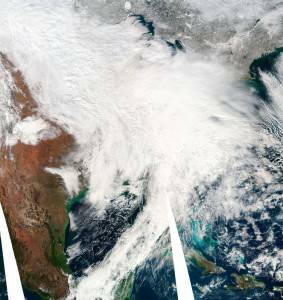 Atlanta, GA – Are you ready for Winter Storm Athena? The Weather Channel, a television network to which skiers and riders are often tuned during the winter season, has announced a plan to name winter storms throughout the 2012-13 season similar to a practice employed by the National Hurricane Center for tropical systems. Mimicking a practice in place in Europe since the 1950s, The Weather Channel will name winter weather systems alphabetically this season with names that borrow strongly from mythology, beginning with Athena. In announcing their decision, officials at The Weather Channel rationalize that naming winter weather systems increases their awareness by giving them a personality all their own. They say that a name makes it much easier to follow a weather system’s progress, and that in today’s social media world, a name makes it much easier to reference in communication. A named storm is easier to remember and refer to in the future, and they cite as examples “The President’s Day Storm” and “Snowmageddon,” names informally applied by the media to recent significant winter weather events. Not all meteorologists, however, are on board with the plan. In divising its system, The Weather Channel has applied a number of criteria to their naming of winter storms. They will be named no sooner than three days before impact to ensure there is moderate to strong confidence the system will produce significant effects on a populated area. Unlike the naming of tropical systems, which occurs as soon as winds exceed a certain threshold, the process for naming a winter storm will reflect a more complete assessment of several variables that combine to produce disruptive impacts including snowfall, ice, wind and temperature. In addition, the time of day (rush hour vs. overnight) and the day of the week (weekday school and work travel vs. weekends) will be taken into consideration in the process the meteorological team will use to name storms. So, wax those skis…Winter Storm Athena’s coming!